Cognitive dysfunction is a pervasive and disabling aspect of schizophrenia without adequate treatments. A recognized correlate to cognitive dysfunction in schizophrenia is attenuated frontal theta oscillations. Neuromodulation to normalize these frontal rhythms represents a potential novel therapeutic strategy. Here, we evaluate whether noninvasive neuromodulation of the cerebellum in patients with schizophrenia can enhance frontal theta oscillations, with the future goal of targeting the cerebellum as a possible therapy for cognitive dysfunction in schizophrenia. We stimulated the midline cerebellum using transcranial pulsed current stimulation (tPCS), a noninvasive transcranial direct current that can be delivered in a frequency-specific manner. A single 20-min session of theta frequency stimulation was delivered in nine patients with schizophrenia (cathode on right shoulder). Delta frequency tPCS was also delivered as a control to evaluate for frequency-specific effects. EEG signals from midfrontal electrode Cz were analyzed before and after cerebellar tPCS while patients estimated the passage of 3- and 12-s intervals. Theta oscillations were significantly larger following theta frequency cerebellar tPCS in the midfrontal region, which was not seen with delta frequency stimulation. As previously reported, patients with schizophrenia showed a baseline reduction in accuracy estimating 3- and 12-s intervals relative to control subjects, which did not significantly improve following a single-session theta or delta frequency cerebellar tPCS. These preliminary results suggest that single-session theta frequency cerebellar tPCS may modulate task-related oscillatory activity in the frontal cortex in a frequency-specific manner. These preliminary findings warrant further investigation to evaluate whether multiple sessions delivered daily may have an impact on cognitive performance and have therapeutic implications for schizophrenia. Arun Singh and Nicholas T. Trapp are co-first authors. K.L.P. designed the research; K.L.P. and S.C acquired data; K.L.P., A.S., B.D., and J.K. analyzed data; K.L.P., N.T.T., A.D.B., B.D., and A.S. wrote the manuscript; and all authors provided feedback. K.L.P has received generous funding to complete this research from the Brain & Behavior Foundation Young Investigator NARSAD Award, The Nellie Ball Research Trust, and NIMH K01 MH106824, the University of Iowa Department of Psychiatry, and the Iowa Neuroscience Institute. Written informed consent was obtained from every subject and all research protocols were approved by the University of Iowa Human Subjects Review Board. Carter CS, Perlstein W, Ganguli R, Brar J, Mintun M, Cohen JD. Functional hypofrontality and working memory dysfunction in schizophrenia. 2014. Available at: http://ajp.psychiatryonline.org/doi/10.1176/ajp.155.9.1285 [Accessed March 27, 2015]. Koziol LF, Budding D, Andreasen N, D’Arrigo S, Bulgheroni S, Imamizu H, et al. Consensus paper: the cerebellum’s role in movement and cognition. 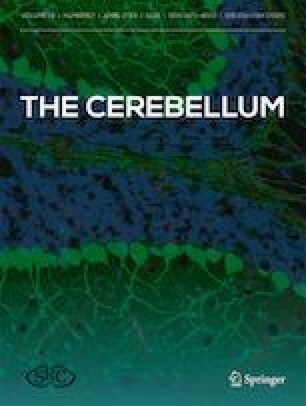 Cerebellum. 2013. https://doi.org/10.1007/s12311-013-0511-x. Parker KL, Chen K-H, Kingyon JR, Cavanagh JF, Naryanan NS. Medial frontal ~4 Hz activity in humans and rodents is attenuated in PD patients and in rodents with cortical dopamine depletion. J Neurophysiol. 2015. https://doi.org/10.1152/jn.00412.2015. Bocci T, Ferrucci R, Barloscio D, Parenti L, Cortese F, Priori A, et al. Cerebellar direct current stimulation modulates hand blink reflex: implications for defensive behavior in humans. Phys Rep. 2018;6. https://doi.org/10.14814/phy2.13471.